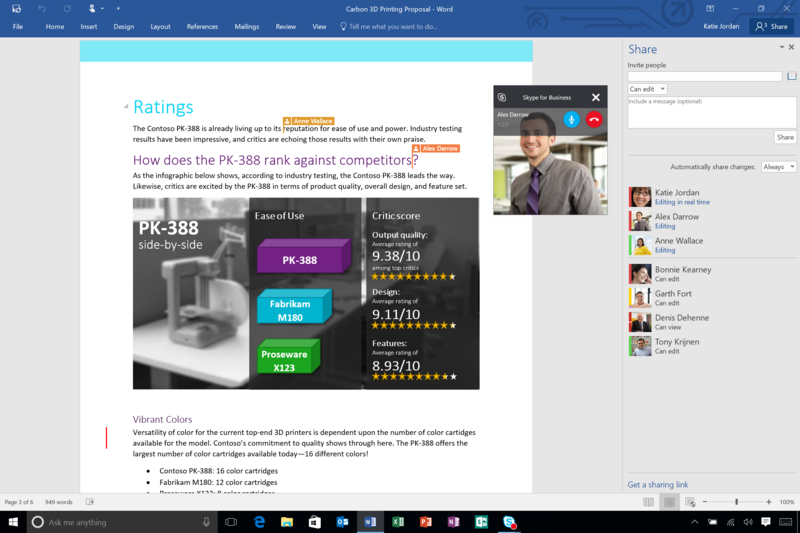 Microsoft releases Office 2016 -- upgrade today! If you’ve been waiting for the latest version of Microsoft Office, we have some good news for you. The newest addition to Office 365, Microsoft’s cloud-based subscription service, is available to download now. Office 2016 delivers new versions of the desktop apps for Windows, including Word, Excel, PowerPoint, Outlook, OneNote, Project, Visio and Access. Office 365 subscribers can choose to download the new Office 2016 apps as part of their subscription (automatic updates will begin rolling out to consumers and small-businesses next month). The new suite is also available to buy for a one-off fee from today. "The way people work has changed dramatically, and that’s why Microsoft is focused on reinventing productivity and business processes for the mobile-first, cloud-first world", says Satya Nadella, chief executive officer of Microsoft. "These latest innovations take another big step forward in transforming Office from a familiar set of individual productivity apps to a connected set of apps and services designed for modern working, collaboration and teamwork". Office 365 Groups are now an integrated part of the Outlook 2016 client app and available on your favorite mobile device through the Outlook Groups app, delivering a consistent team experience across the suite. The new Office 2016 apps are available in 40 languages and require Windows 7 or later. Office 2016 is also available today as a one-time purchase for both PCs and Macs. More information is available at http://www.Office365.com.